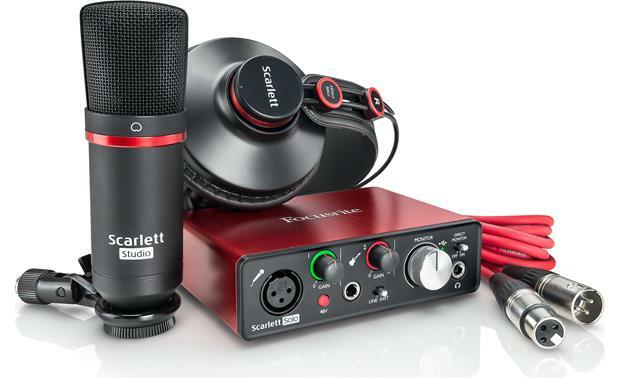 The Scarlett Solo is designed to work flawlessly with all major DAW software, but if you're just getting started, you'll appreciate that this interface comes bundled with Avid Pro Tools® First as well as Ableton Live Lite. 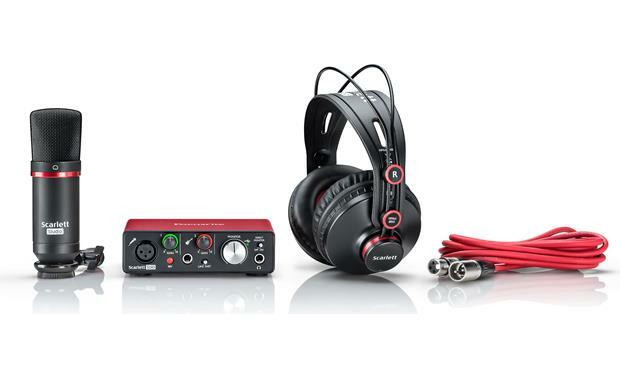 You also get newly designed Focusrite Control software for intuitive control of your mixing and monitoring setups. 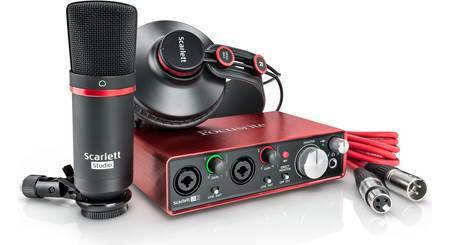 The bundled software package also includes the Focusrite Red Plug-In Suite, Novation's Bass Station Virtual synthesizer, and 2GB of Loopmasters samples. 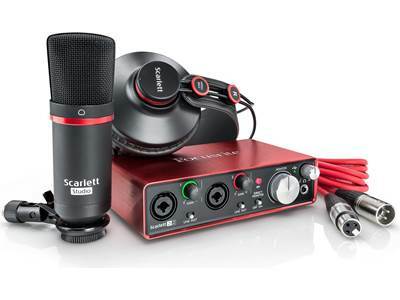 Scarlett Solo Studio Bundle: The Focusrite Scarlett Solo Studio bundle is a studio-quality recording package that includes the Scarlett Solo (2nd Gen) audio interface, the Scarlett CM25 MkII studio condenser microphone, and the Scarlett HP60 MkII reference monitoring headphones. 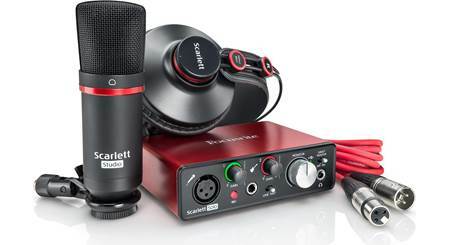 The bundle also includes a microphone stand adapter, and a 10' XLR microphone cable. 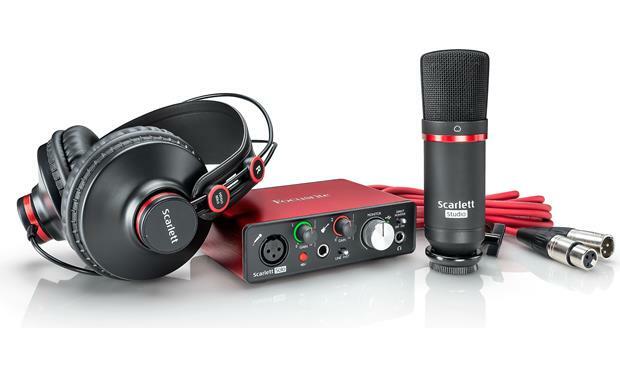 Searches related to the Focusrite Scarlett Solo Studio (Second Generation) Home recording bundle including interface, headphones, mic, and a cable.